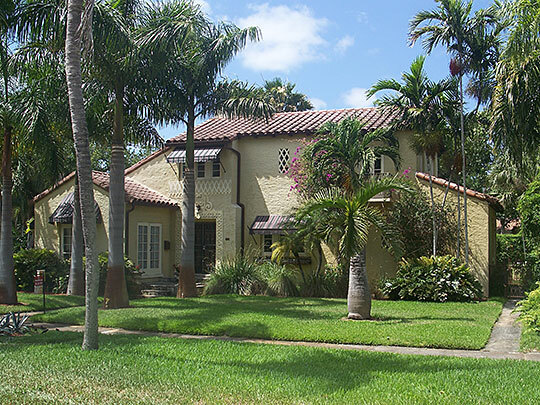 Photo: Shoreland Company House, 273 Northeast 98th Street, Miami Shores, Florida. Part of the Miami Shores Thematic Resources nomination. Listed on the National Register of Historic Places in 1988. Photographed by User:Ebyabe (own work), 2011, [cc-by-3.0 (creativecommons.org/licenses/by/3.0)], via Wikimedia Commons, accessed July, 2013. For county and local government information, county residents can now dial 311. Miami-Dade County courthouse is located at 73 West Flager Street, Miami FL 33130; phone: 305-275-1155. Created in 1836, the county was named to honor Major Francis L. Dade who was killed in 1835, the Second War with Florida's Seminole Indians. The name was changed to Miami-Dade in 1997.